The Compulsive Reader: Reading Rants: So, Why Do We Like Dystopian Novels So Much? Reading Rants: So, Why Do We Like Dystopian Novels So Much? Last week, a debate appeared on the New York Times website concerning the popularity of dystopian novels in YA lit. Some fantastic YA authors were among those that weighed in (Scott Westerfeld , Maggie Stiefvater , and Paolo Bacigalupi ), and there were some very interesting and varied opinions. Something I noted while reading was that there wasn't really a "young adult" opinion in this debate. There were some really excellent thoughts, but why are they are all coming from adults in their late twenties/early thirties and older? I am not saying that the opinions of these adults (and very capable writers) are erroneous...but here is a young adult opinion. I think that in order to pinpoint the reasons for my own attraction to dystopia, I have to go back to the first books of the genre I read before I was even a teen: The Giver by Lois Lowry and Unwind by Neil Shusterman. 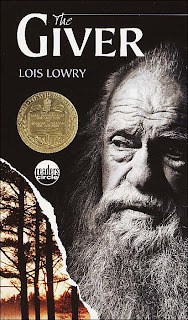 The Giver, which I am assuming we are all familiar with, was my first encounter with the subject of Utopian societies that aren't all that they appear to be, and it is hard to articulate how I felt while reading that book. At first, everything seems odd, but pleasantly so. It's only as you get further into the story that you really realize how wrong this society is, and with every issue that Jonas confronts, you must grapple with as well. I flocked to the companion novels, not quite understanding their draw. 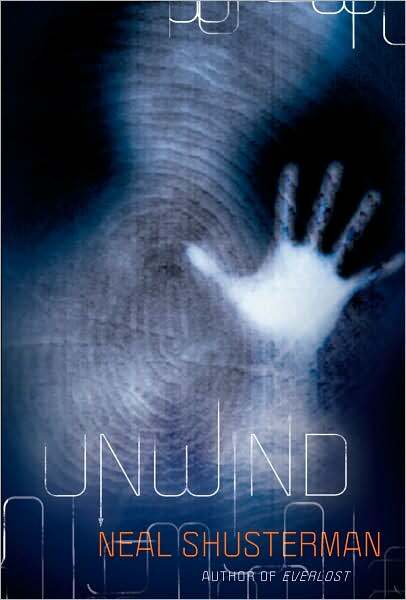 I read Unwind five years later, and it was in many ways different from The Giver, but the struggle to choose what is right and decide what is worth sacrificing for a better world was the same. This one is a much more modern book, dealing with an issue that at that time, was very relevant to me: the right to life vs. a woman's reproductive rights. Unwind offers a shocking solution to that issue (and others) that I couldn't stop thinking about. My fascination with these two books really defines my preoccupation with the genre as a whole. Each deals with young people confronted with choices, and they must decide where they stand. There are great costs to whatever they decide, but you hope that they choose wisely, even if it is the costlier choice. In a way, teenagers are making the same choices right now. We have to decide what our beliefs are instead of just following the media, our parents, or our peers. The choices that the characters in these books make are oftentimes much more important than those we are confronted with each day--how important is a test score or deciding what college you'll go to when compared to standing up for intellectual freedom or fighting against a dictator? Oftentimes we are caught in the mundane world, dealing with issues that, although they may seem important to us, are inconsequential next to the struggles for freedom, life, and love that our favorite characters live each day. The great thing about dystopian novels is that they also can appeal to nearly anyone, no matter where they come from. Whether you are a suburban teen who worries about failing at school, one who deals with violence on a daily basis, or somewhere caught in between, you can somehow relate your own life and struggles to those of the characters of the books. There is comfort in that, and a certain amount of hope in escaping from your own reality to one that allows you to find strength, or can put your own problems into perspective. But, and I think this is one of the biggest reasons dystopian novels are so popular, they force you to ask a very important question: "What would you do in this situation?" And your answer can be terrifying, surprising, and sometimes very gratifying. I am a dystopian lover in the extreme... When I read The Giver a long time ago, I wasn't even aware of what genre it was, but now with all the hype for dystopia I see why it appealed to me so much. What a way to put it. I just finished Brave New World By Aldous Huxley for school, and it was so mind-boggling. I think dystopian novels appeal to me because I then want to figure out how things got to that point...and why isn't it a utopia? I am a huge fan of dystopian fiction but I am far from being a member of the audience for whom these books are written! My latest addiction is The Maze Runner trilogy. Thanks so much for your thoughtful post -- it is refreshing to gain the perspective of a person in the intended age group. Great post! I absolutely loved The Giver when I read it many years ago, and at the time didn't even know about the "dystopian" classification. I just finished DELIRIUM, another fabulous dystopian novel and I am so drawn into this genre now. Like you said, it's interesting to put yourselves in the place on the characters and figure out what you would do and where you would stand on these intense issues. It's funny...I consider The Giver to be my all-time favorite childhood read. I will likely name my first son Jonas (if I have one). Yet I have never like dystopia. I didn't like 1984 or even Animal Farm. I think the idea of a repressive, omnipresent government scares me too much and takes the fun out of a novel. But like The Giver, there are exceptions. If a book is truly good, I love it regardless of its genre. For that reason, I loved the Hunger Games. And Watership Down (dystopian bunnies). I don't like the genre in the abstract, but I do like certain books. This is a very interesting post and I think you provide some great analysis. I just finished reading MATCHED by Ally Condie and it made me think about how the dystopian genre is a kind of double-whammy for teens: It takes teens already grappling with issues of identity, future and love and puts them also up against an entire society that inhibits their growth in these areas in some way. For me, that's another reason why dystopian fiction works so well in YA.